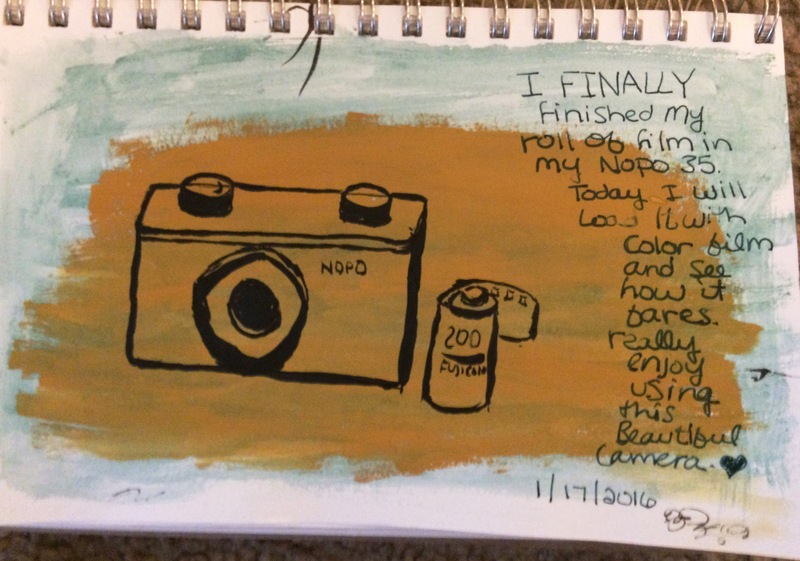 I signed up for the beginning class at Sketchbook Skool and so far I really like it – though I’m only halfway through week one. For our first homework we are supposed to draw something that has meaning to us, so of course I chose my pinhole camera. We were also supposed to use a background color so I layered gouache over watercolor. My micron pen didn’t like the gouache so I drew this with my brush pen, which was a challenge.